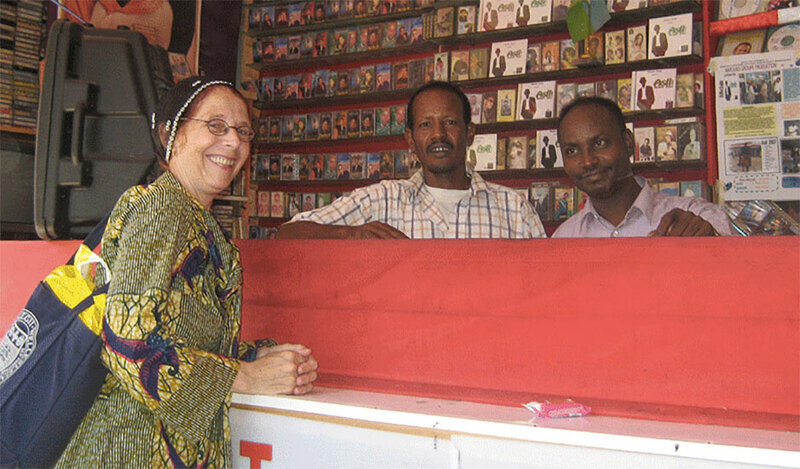 Lidwien Kapteijns has been listening to and analyzing the love songs of Somalia for more than 30 years. The Elizabeth Kimball Kendall and Elisabeth Hodder Professor of History, Kapteijns recently spoke about her love and study of the music on the radio feature “Hip Deep” from Afropop Worldwide, a radio program and online magazine dedicated to music from Africa and the African diaspora. Speaking with Afropop's Banning Eyre, Kapteijns shared how she began studying Somali during graduate study at the School of Oriental and African Studies in London. After graduating and teaching in Sudan for several years, Kapteijns had returned to the United States but wanted to keep up her Somali language skills. She found a Somali pen pal named Maryan Omar Ali, and through Ali, Kapteijns discovered Somali love songs. Ali had collected hundreds and hundreds of love songs, ranging in style and era, most kept on cassette tapes. “It is in working with Maryan that I got really interested in the songs [of the collection],” said Kapteijns in the interview. “And I think that Maryan’s own interest in transcribing the songs and documenting them, rather than just collecting them, also grew. She could recognize all the voices, which I cannot do yet, even today. Some, I can. And so it became like a really wonderful collaboration. Eventually, this became part of the 1991 book Women’s Voices in a Man’s World, which I wrote with Maryan Omar Ali, because Maryan helped me with the song texts. That was not our plan. We really started doing it because we loved it, and I think I learned a lot of… the Somali language that I know from the pop songs.” Many of the songs have been digitized and are available on YouTube, while the impressive physical collection remains with Kapteijns. In the interview, Kapteijns went on to discuss prevalent themes and historical contexts of Somali love songs. She praised the contemporary popular rapper K’Naan for integrating Somali language, images, and traditions into his art, in songs like Fire in Freetown, Soobax, and My Old Home, the last of which Kapteijns has quoted in her essays.